My garden is overflowing with vegetables! I am so excited about my new and improved garden this year and apparently, the plants were happy about having some new (good) soil too. 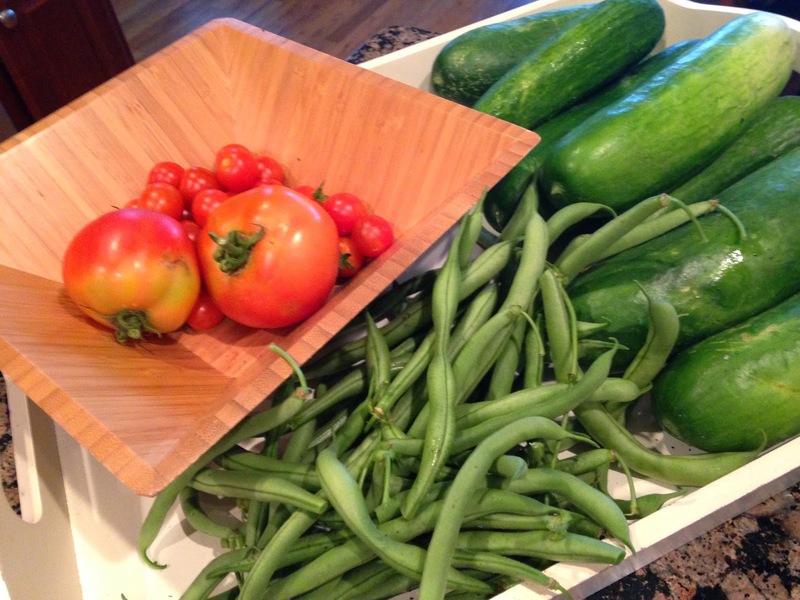 I'm picking tomatoes and beans and cucumbers almost everyday. I love it. 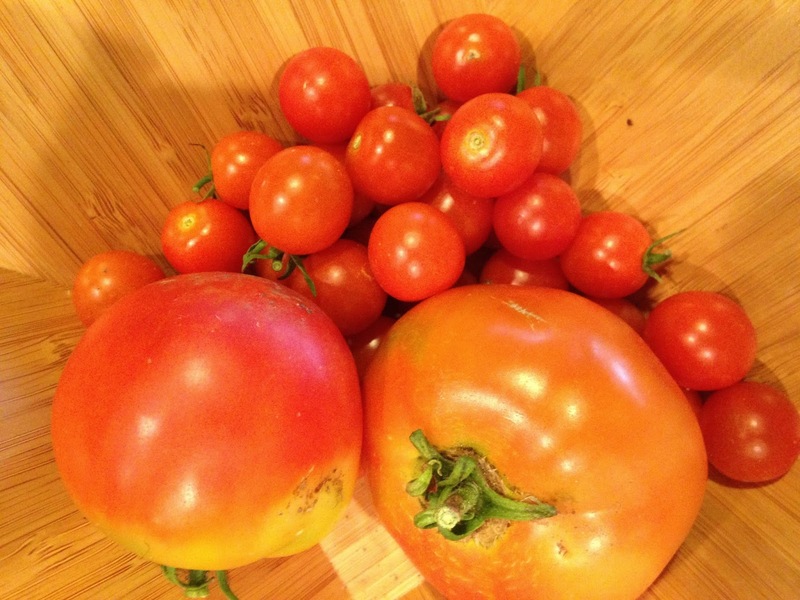 I've got lots of green tomatoes so I hope to have a bumper crop of tomatoes before too long. My beans just keep producing more beans every single day. The cucumber plant is growing out of control. 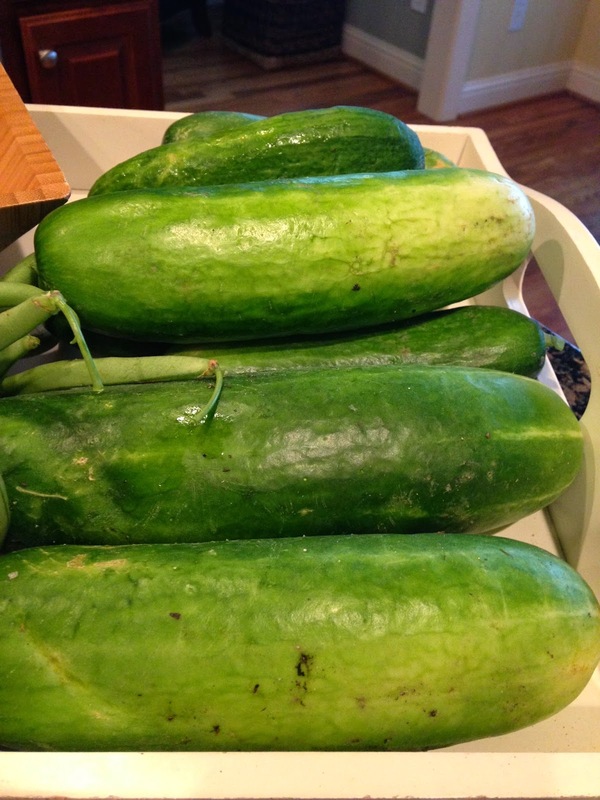 I've got endless cucumbers and they are delicious. This is what my garden looked like when I got back from our vacation in Ohio. Yes, I know, the cucumber and the watermelon plants are taking OVER the garden. (and the lawn.) I've got some monster watermelon that are ripening nicely though - super excited about that. 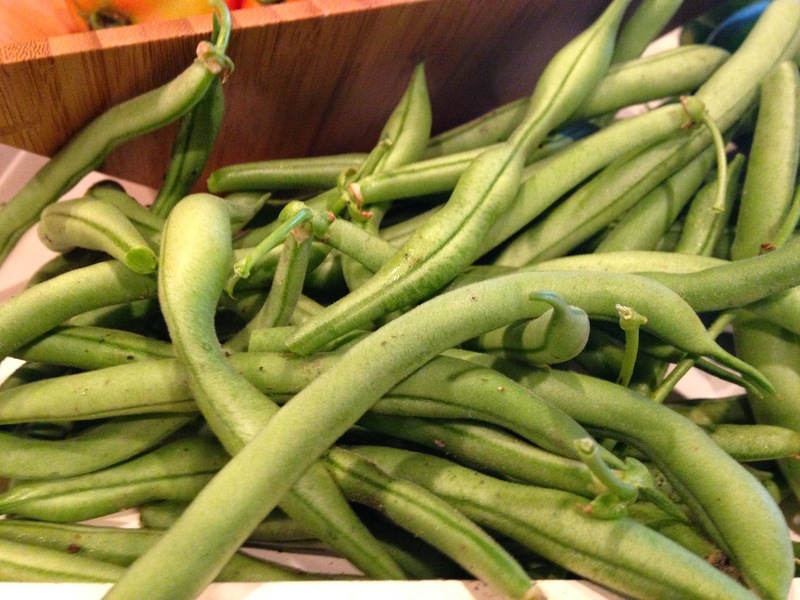 I decided to try a new recipe with my freshly picked green beans. I will tell you right off that bat that I do NOT recommend this recipe. The only reason that I'm blogging this at all is because I went to all the trouble to take the pictures and I feel like I've already invested a significant amount of time into this recipe. I also feel like I am at fault for ruining this simple recipe and perhaps there is someone out there who can help me find the error of my ways. Place a grill basket on the grill to heat for 5 minutes. Place onion, garlic and beans in a bowl. Place in hot grill basket and cook 7 minutes until lightly charred. Place in a bowl, cover and let steam for 5 minutes. Drizzle with oil and soy, salt and pepper. My beans were still not tender after 5 minutes of steaming so I microwaved them for an additional 2 minutes. My beans came out super rubbery and not even very flavorful. Not sure what went wrong but send me your comments if you think you can help my grilled green beans. Thanks.